AlphaCard Blog - What information do I need to reorder prox cards? 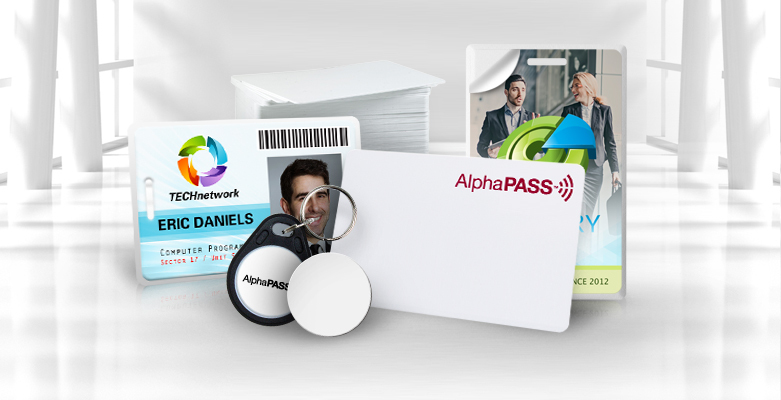 Unless your access control system uses a proprietary card format, you can easily order new prox cards from different brands and providers – often saving you money if you switch to a brand like AlphaPass prox cards vs. the name-brand HID cards. But if you want to order cards, what information do you need? Most prox cards are 26 bit (H10301) format, although specialized systems can use a different format. You’ll need to enter in your system’s format, making sure it matches your current cards. If you’re not sure what your card format is, take a look at the label on your card box – the format will be included there. The second bit of card information you will need is your facility code. This is a number between 0 and 255 that is assigned to your specific location (if your business has different buildings on a large campus, you may assign each building a different facility code). If you’re not sure what your facility code is, take a look at your label again – this information will also be included there. Each prox card in your access control system has a unique sequence number that helps identify it – to open the door your card’s format, facility code, AND sequence number must match up with the data in your system. Because the sequence numbers are unique, you’ll need to pay special attention to this when ordering new cards. On your box, the label will specify the range of card numbers included in that order. When you place an order, make sure to start on the next number in the set. For example, if your current box of cards include cards 40501 to 40600, you’ll want to start with card 40601 when you reorder. When ordering prox cards, you can also choose to have a number printed on the card. Choose from either the card’s sequence number (from above), or a unique ID number that you can set when you order. The last choice you need to make when reordering prox cards is slot punch or no. Slot punching cards makes it easy to use them with lanyards or badge reels, but do keep in mind that if you plan to print on your cards you cannot order them slot punched. By Keisha|2019-02-05T16:54:47+00:00February 5th, 2019|Access Control, AlphaPass, Ask AlphaCard, How To, Proximity Cards|Comments Off on What information do I need to reorder prox cards?